Turf Maintenance offers a variety of services for Golf Courses of all sizes. We provide custom golf course greens maintenance programs tailored to your specific needs, as well as granular fertilizer applications for fairways and rough areas. 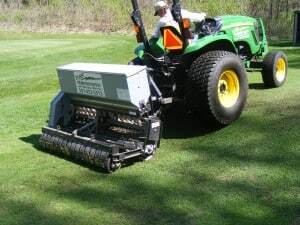 We also provide deep tine aeration for greens and tee boxes, and seeding new areas or overseeding existing turf. Contact Us for more information or for a Free Estimate today!